[UPDATED] The word is derived from the Greek; the prefix [hydr-] [υδρος]means "water", while the root term [-cephal-] means "head". The term [hydrocephalus] means "water in the head"; of course the "water" is cerebrospinal fluid (CSF) which accumulates excessively in the ventricular system of the brain. There are several reasons why the amount of CSF within the brain can be excessive, increasing the intracranial pressure: An imbalance between production and absorption of CSF (excessive production or reduced absorption), or a blockage in the ventricular system causing a dilation of the ventricles. The excessive pressure can and will damage the delicate brain tissue. In the case of hydrocephaly (another form of the term) in a newborn the soft cartilage between the cranial bones will distend allowing for the head to dilate and reduce the damage to the brain tissues. A hydrocephalus shunt can allow the patient to reduce the size of the head and eventually lead a normal life. In 1964 Dr. Salom?n Hakim described, in what was then considered a controversial publication, a condition known as "normal pressure hydrocephalus", usually associated with old-age, Alzheimer's and Parkinson's disease. This condition is now widely accepted as a specific type of hydrocephalus. 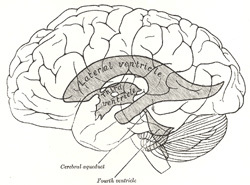 The image depicts the ventricular system of the brain in a normal state. 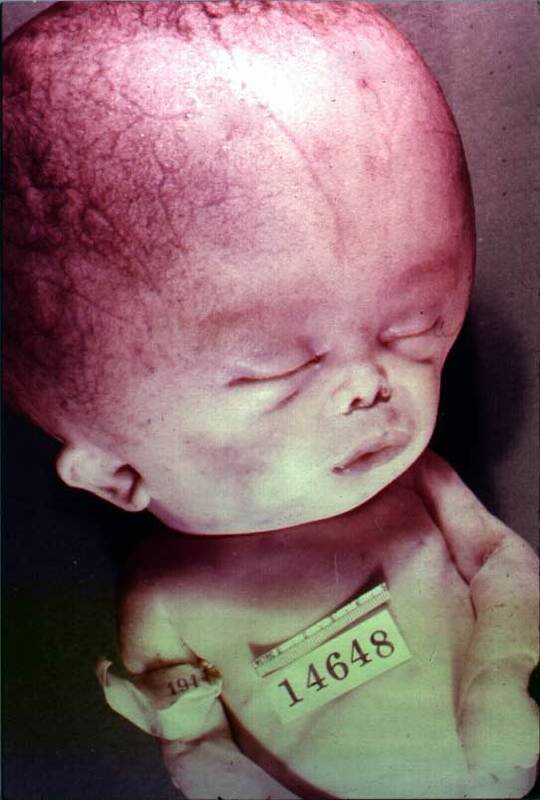 If you click on the image, a secondary image of a hydrocephalic baby courtesy of Wikipedia will appear. WARNING! This image is potentially disturbing. For a YouTube video of the insertion of a CSF shunt into the brain, click here.